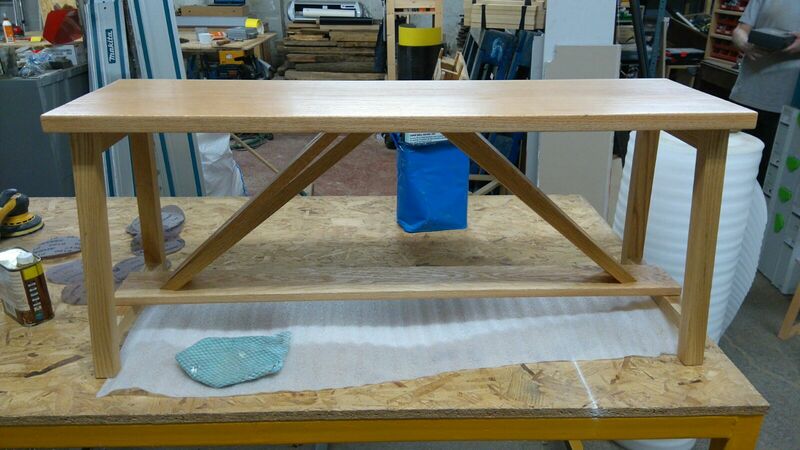 This simple bench is made from American white oak and ash with a finish of Danish oil. 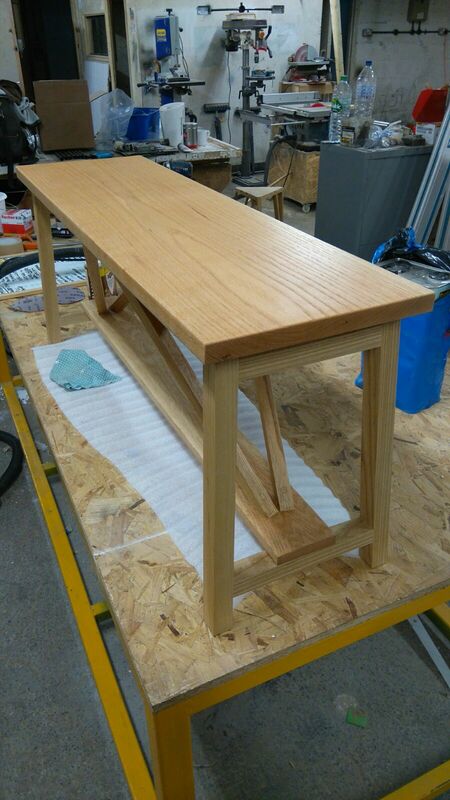 The top is a single piece and all the other parts are from reclaimed stock. The angular cross bracing is inspired by the stretchers found on many Arts and Crafts dining tables.